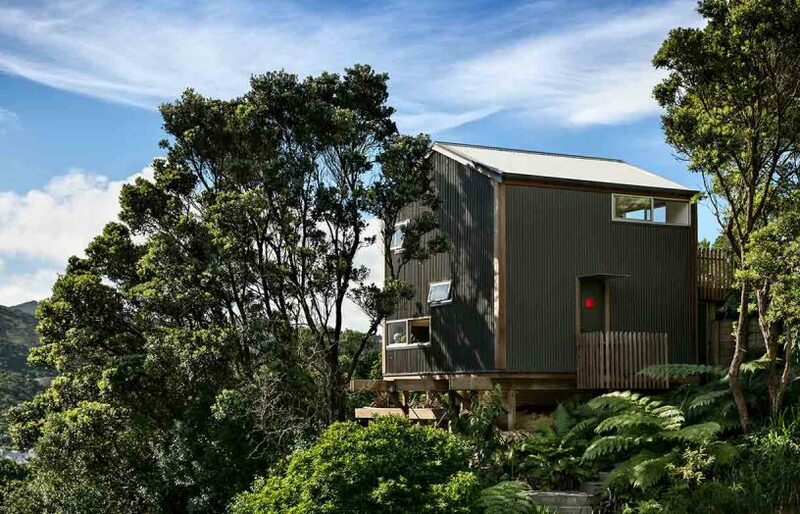 In this special feature, we look at five tiny footprint homes that show what’s possible with a less-is-more lifestyle. 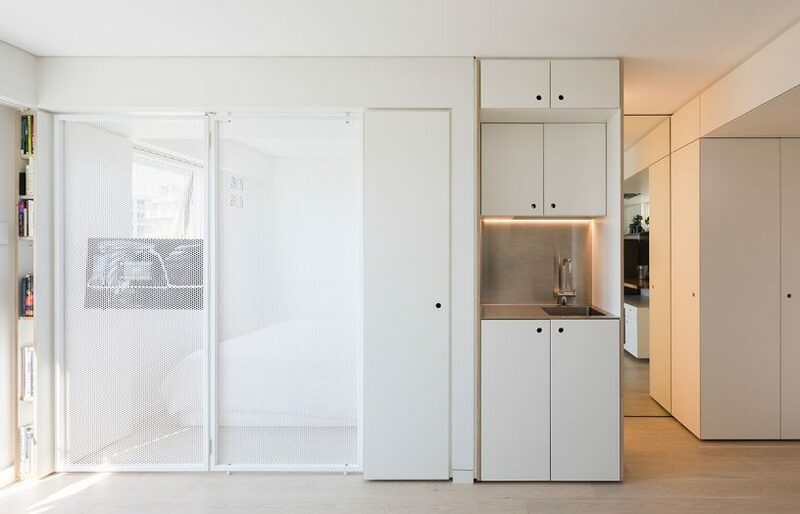 There are many reasons why young and old are choosing to live at a smaller-scale – from affordability and convenience through to a desire to downshift. 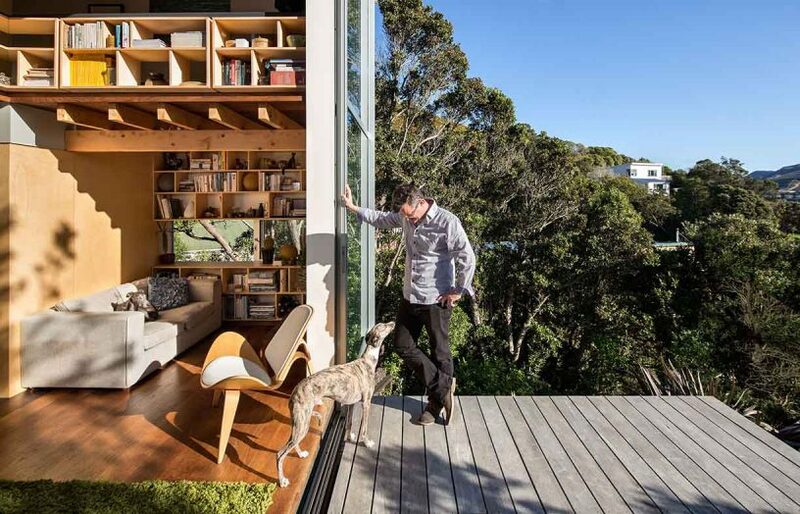 And, of course, as our cities become more dense tiny living is sometimes necessary. 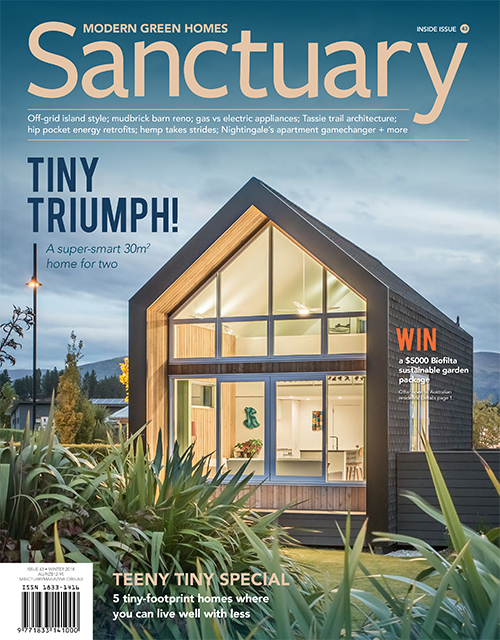 In our latest issue, we look at five tiny footprint homes that show how design can make living from 24 to 57 square metres not only possible but desirable, and even luxurious. 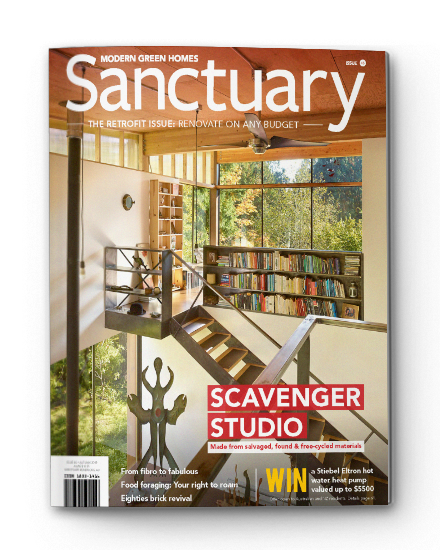 Below we present a summary of the projects; see Sanctuary 43 for the full stories. 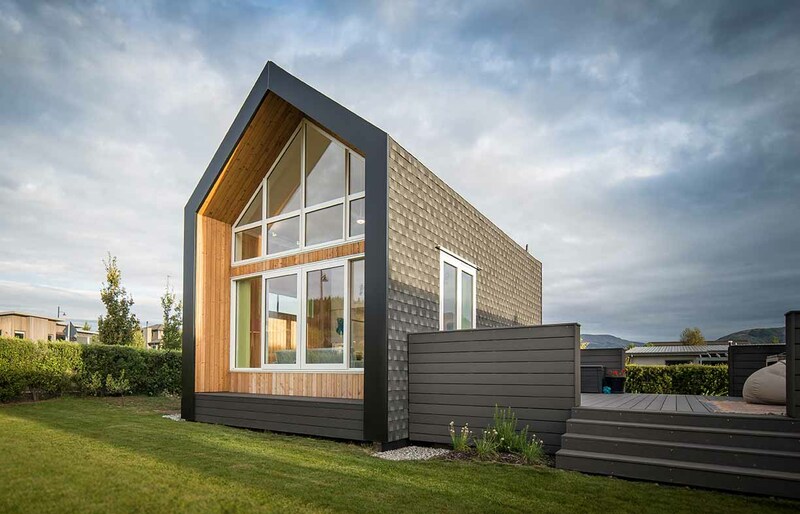 The owners of this tiny house in Wanaka, built using SIPs, are relishing the experience of living a life less ordinary. 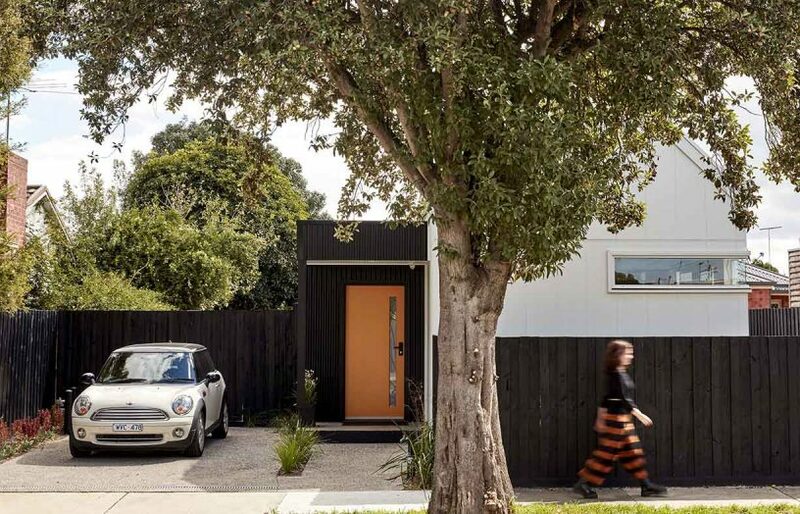 It’s somewhat incongruous to find one of New Zealand’s smallest and most energy efficient homes in a brand new housing estate; tiny houses are normally designed in response to site restrictions rather than to sit proudly on a grassy, 640-square-metre allotment. 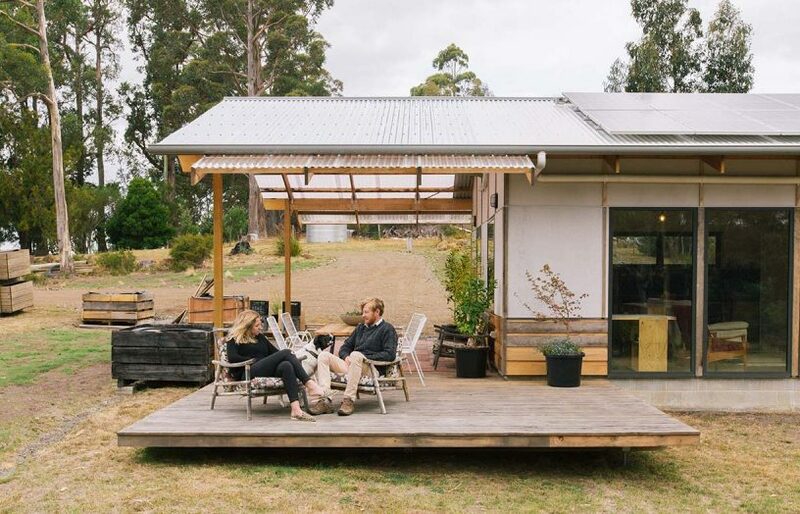 However, for owners Will and Jennie Croxford, building tiny was never about being constrained; they were motivated by the freedom of living with less. 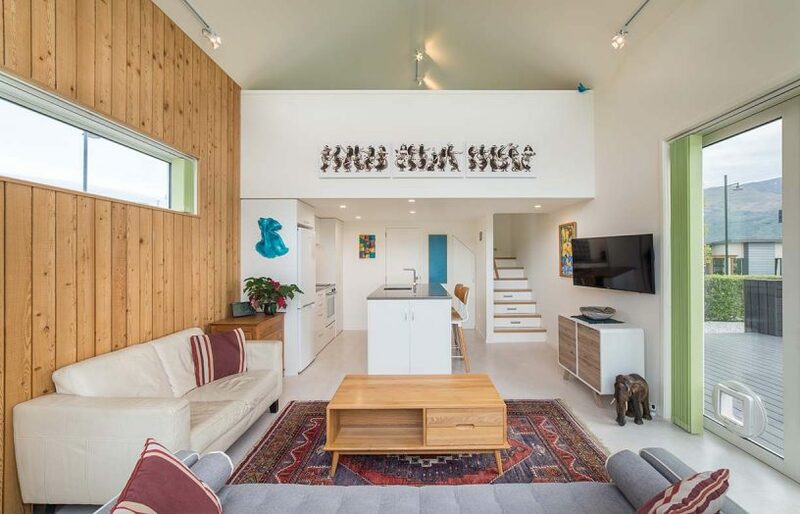 The 30-square-metre footprint home boasts a comfortable living area, compact kitchen and mezzanine bedroom with a bathroom tucked underneath. 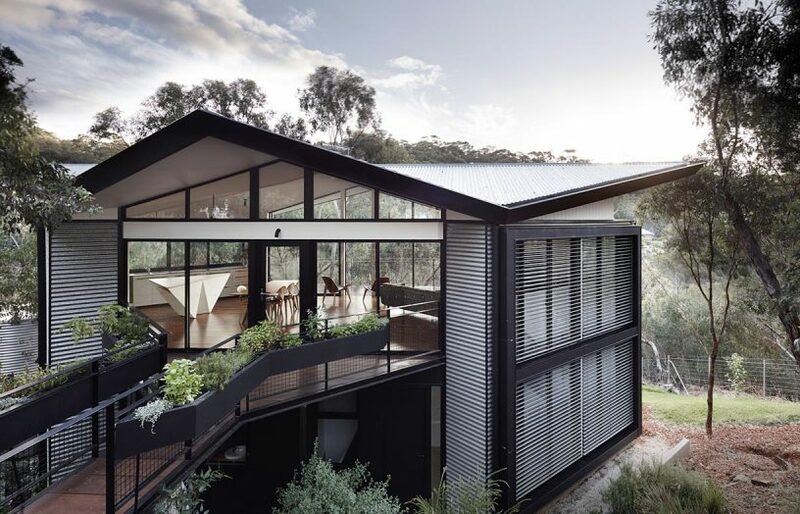 A large deck provides extra living space when the weather is favourable. 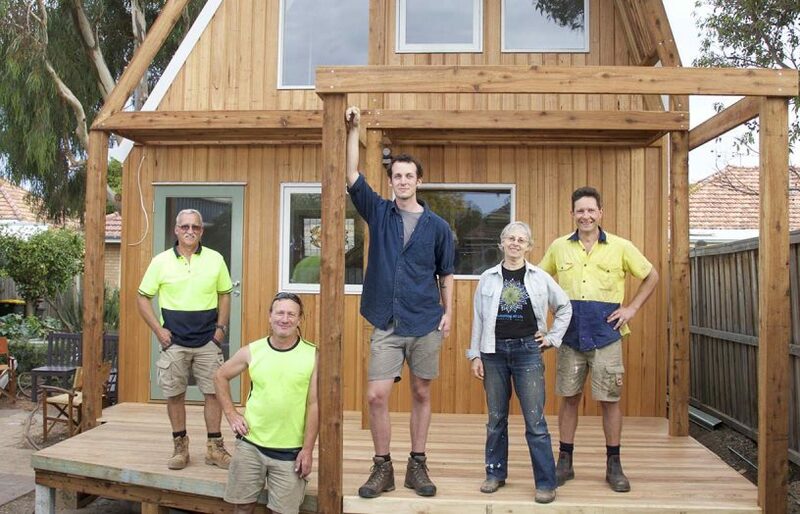 Builder-designer Sally Wills specialises in compact housing, and her new home is an exemplar of affordable 7 Star construction. 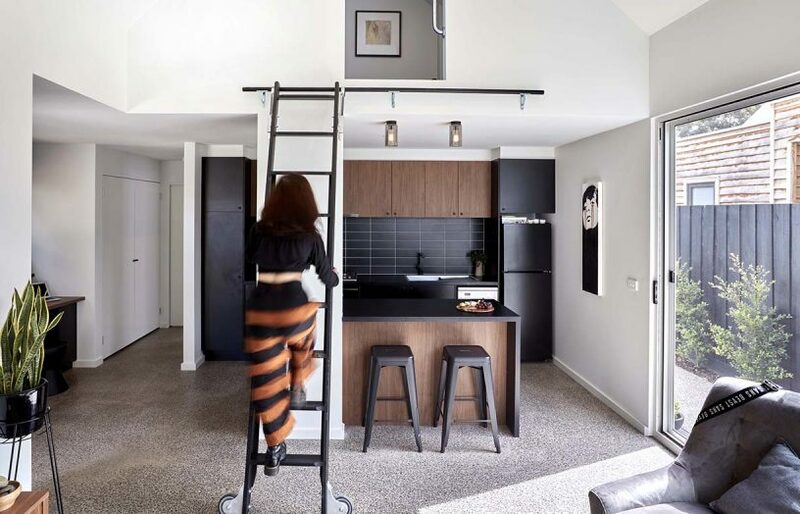 This New Zealand architect borrowed a Japanese compact house concept for his own small home, achieving an uplifting living space in a mere 50 square metres. 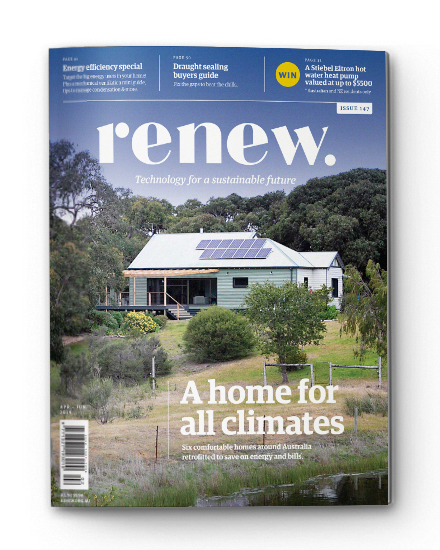 Subdividing her backyard to build a small-footprint house for herself has allowed Vicky Grosser to show how appropriate development can improve the sustainability and affordability of our cities. 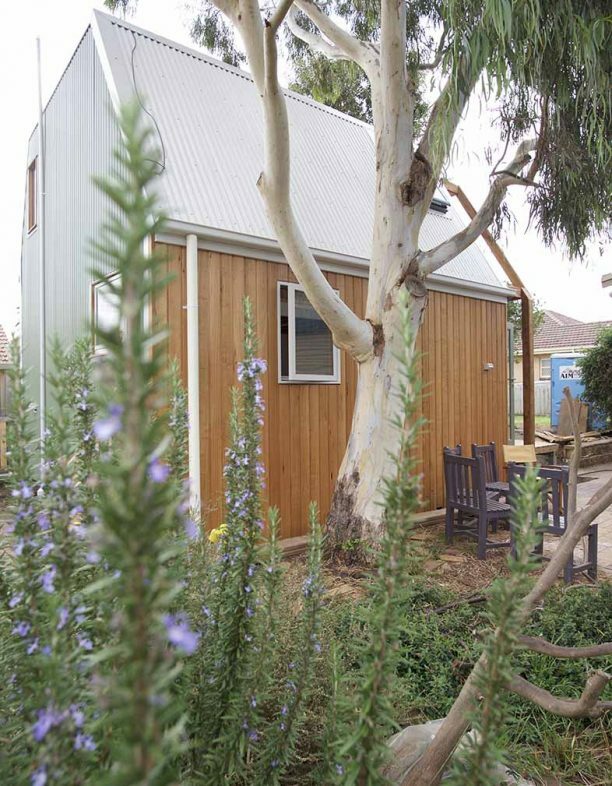 Vicky Grosser has let out rooms in her three-bedroom Geelong West house for years. Along the way she’s forged enduring friendships and saved on resources by sharing her space. 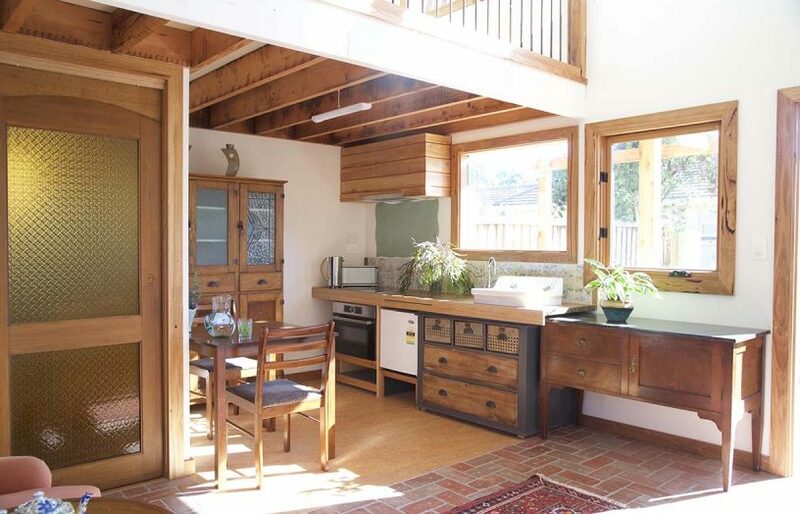 But as she neared her 60th birthday she began to think about how she could downsize into something smaller and more efficient, and free up the house for other people to share the double lot in a sustainable way. 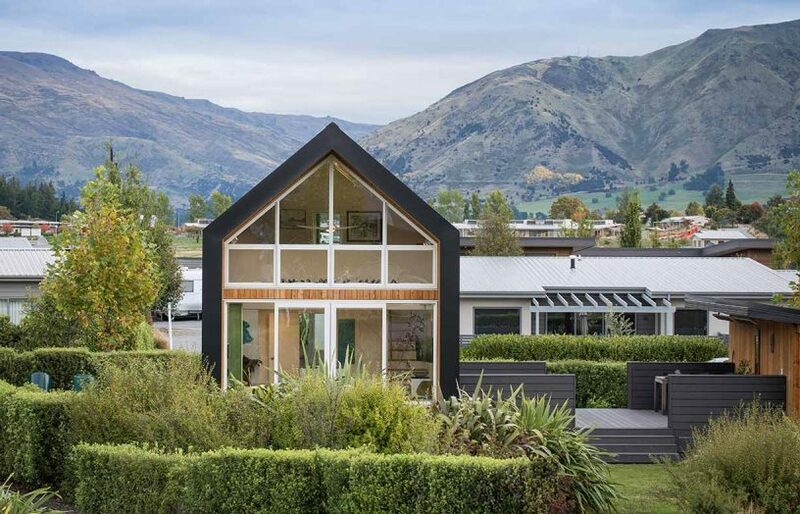 Fortunately, the 650-square-metre block was ideal for subdivision. 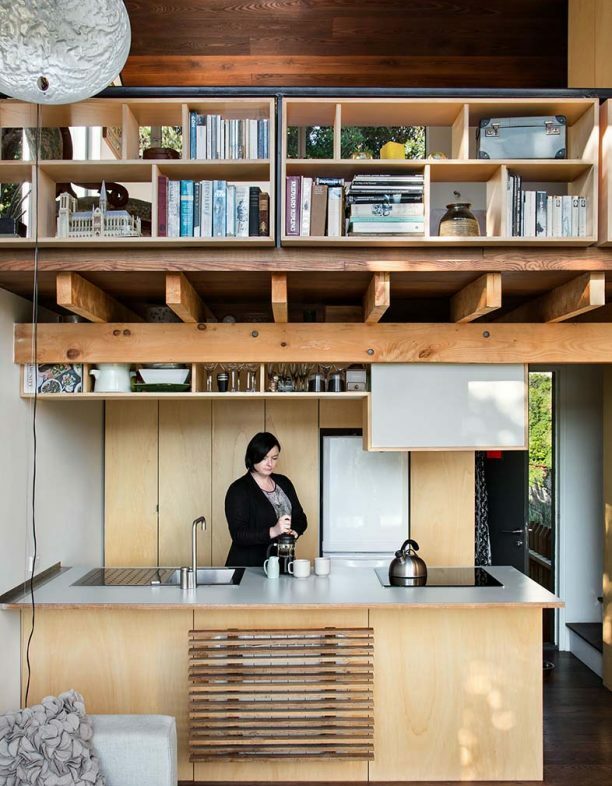 She chose to build a ‘tiny’ house of just 40 square metres, including a 13 square metre mezzanine. 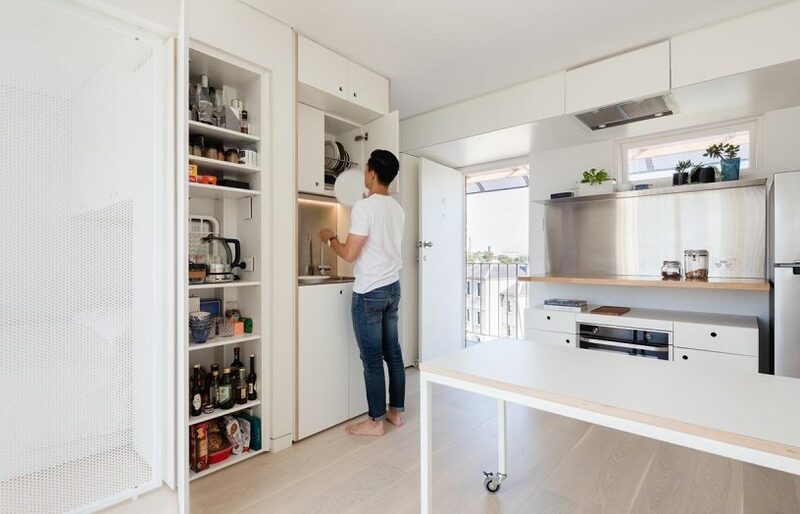 “Most of us live in large homes to store stuff we hardly use, and really it’s just extra space that has to be heated and cooled,” she says. 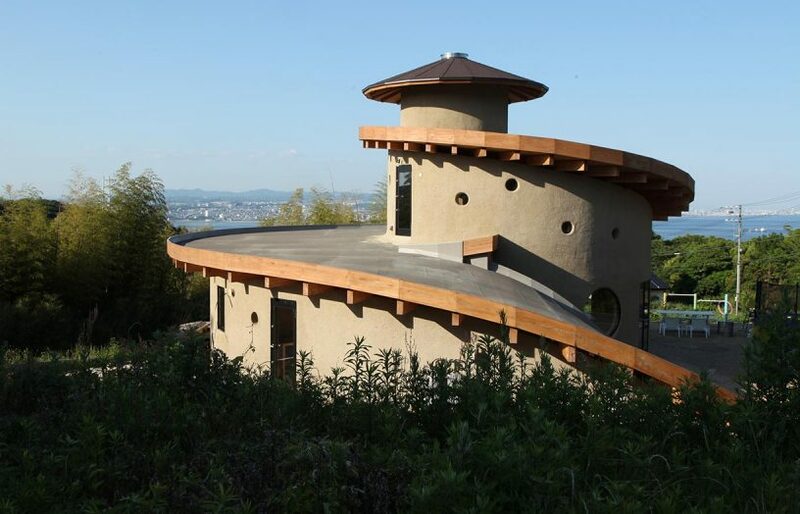 The house is ideally oriented for passive solar design and sealed tight to avoid air leakage. 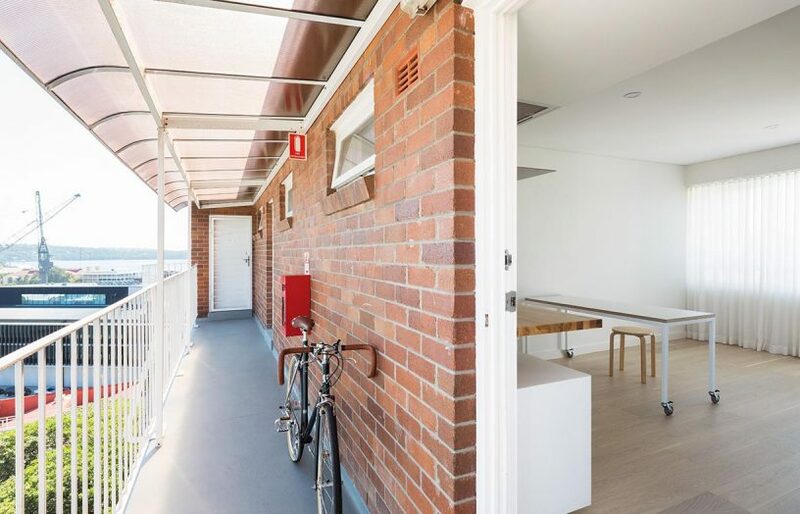 Hand-crafted timber louvres are angled to shade the northern glazing fully in summer but allow maximum solar penetration in winter to warm the recycled red brick floor. 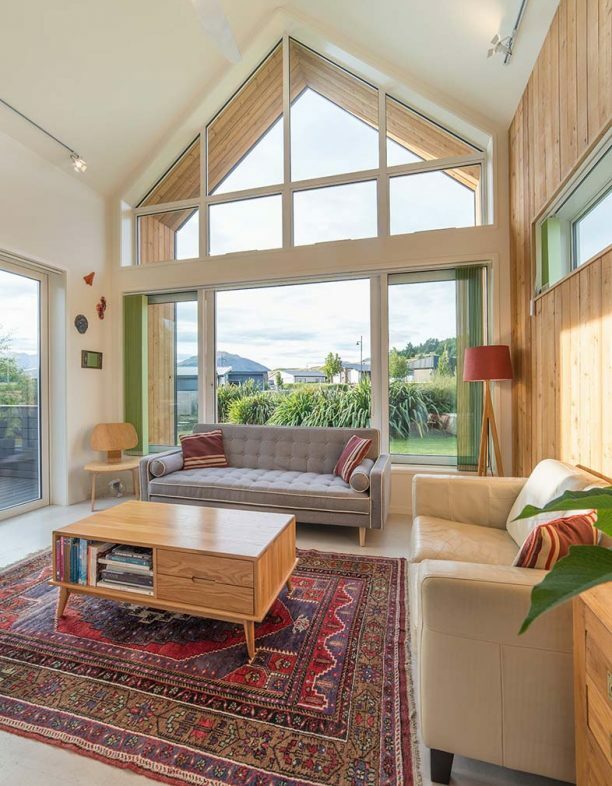 The glazing has been well thought through: cute, reclaimed stained-glass windows prevent overlooking and are triple glazed for thermal performance, openable windows are located to capture breezes and there is no glazing to the west. 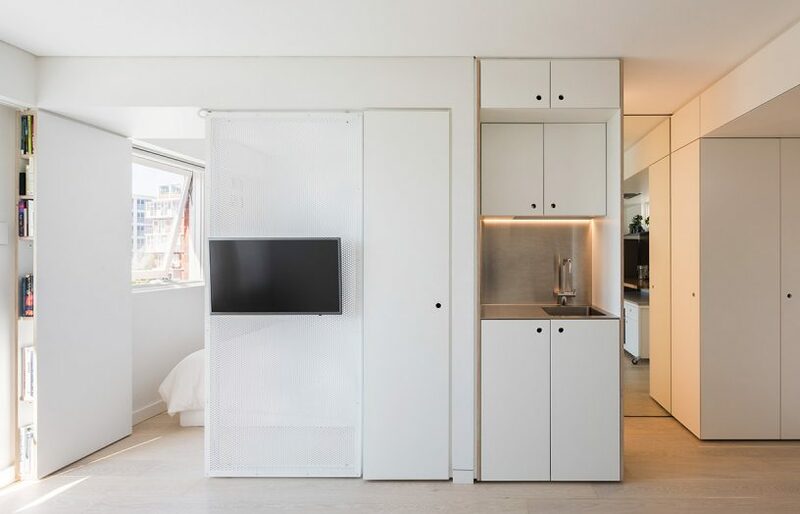 This apartment in Sydney’s Potts Point demonstrates that the tiny house movement is not solely confined to houses. 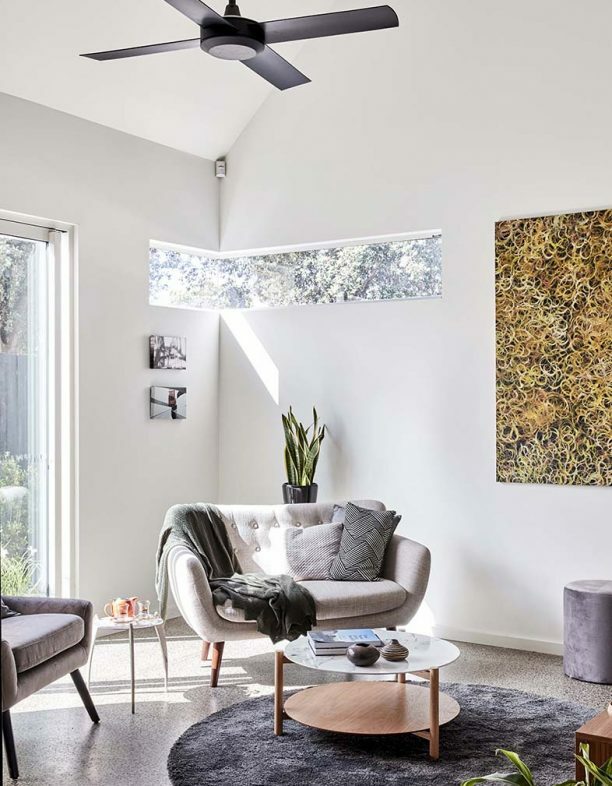 Built on an Adelaide Hills block no one else wanted, a small house draws on big design thinking to overcome several major site constraints.